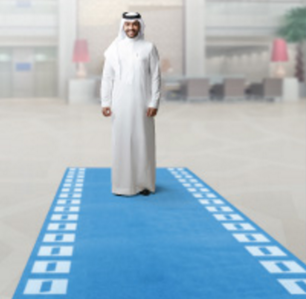 Alinma Bank is one of the fastest growing banks in the GCC. 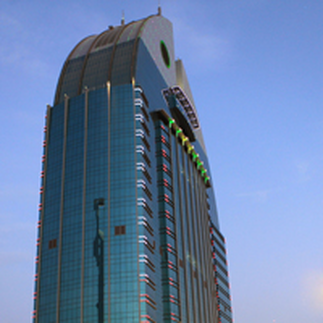 Established in 2009, it has accelerated along a steep trajectory to become a touchstone for Sharia-compliant banking in the Kingdom of Saudi Arabia and beyond. Intense effort and investment has gone into building cutting-edge banking infrastructures complemented by careful selection and development of its ​leadership talent pipeline for success both now and for the future. To sustain its success and to meet the future needs of its customers and partners, Alinma Bank recognised the need to look internally at the strength of its leadership pipeline and succession plan. Alinma chose Propel to lead the design and implementation of the Succession Assessment & Development Centre (ADC) programme. Propel gathered insights from senior leadership into the strategy and direction of the business, as well as the skills and attributes required by future leaders to inform the design of a 'success profile'. The resulting competency framework formed the foundation of the leadership model used as part of the ADC programme. With a clear benchmark for success defined, Propel designed an intensive 2-day business simulation event to realistically replicate the challenges faced by Alinma Bank leaders. 360° Feedback was employed to provide a complementary measure of the leadership competencies from a variety of perspectives. 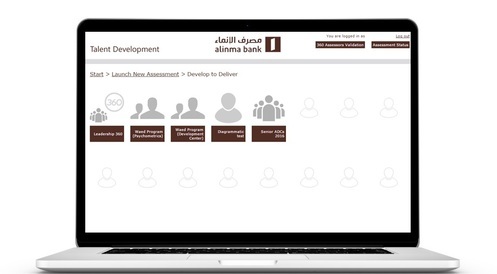 Leveraging Propel’s unique talent technology, a customised Alinma Bank Talent Portal was created to ensure the seamless administration, user experience and data reporting for a wide range of tools used in both English and Arabic. At an organisational level, the rich talent data gleaned from the ADC programme has given Alinma’s HR Leadership the information to best support the development of their emerging leadership in a focused and individualised manner. Perhaps even more importantly, the programme has accelerated the Bank’s journey towards a culture of feedback and continuous learning. At an individual level, the benefits have been similarly profound. Through the business simulation process, participants have been able to gain a realistic job preview of what a ‘day in the life’ of a Senior Leader actually looks like, empowering them to make better choices regarding both their own development and also their career aspirations.